Jordan is having troubles at home. His parents are totally unreasonable. They've gone and become Christians without even thinking about what this is going to mean for him! Life is ruined! There's only one option now - Jordan decides to leave his Arizona home and head for the bright lights of Los Angeles. However he picks one of the worst nights in the year to make his break and ends up off-road, in a stolen car, in the middle of a blizzard! The weather gets worse and he decides to try and make his way towards a light in the distance - someone must be there - they'll help him. It's either that or stay and freeze to death in the middle of nowhere. But Jordan's plans go from bad to worse. The blizzard isn't about to go away and the mounting snow means that Jordan is now stuck in the forest with a real character, a strange old woman, her dog and (worst of all) no computer! Jordan eventually realises that the woman in the log cabin has saved his life,but there's something different about her, something strange, should he be afraid - or is she just some harmless old woman of the forest? The Woman of the Forest by Betty Swinford was published by Christian Focus Publications in January 2005 and is our 28476th best seller. 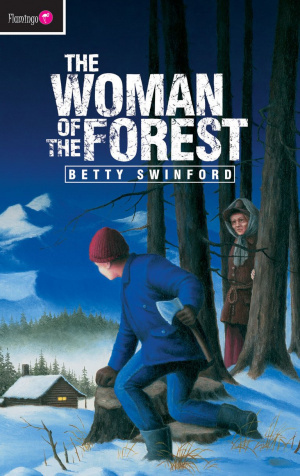 The ISBN for The Woman of the Forest is 9781845500344. Be the first to review The Woman of the Forest! Got a question? No problem! Just click here to ask us about The Woman of the Forest.